After much procrastination, the time has finally come to tear apart the script to Dead End Job (sitcom pilot), and do a massive re-write. With the BAFTA Rocliffe Forum competition deadline around the corner, we have set our deadline and hopefully the motivation and pushing force needed to get this rewrite off the ground. The pilot has been sitting in the ‘drawer’ for a good half year since receiving some great and very useful feedback and now Taro and I are finally ready to tackle it - we have a board, post-it notes, and most of all, lots of notes and ideas on how to make it stronger. One of the feedbacks we received was that our first scene only establishes a couple of the main characters and one of the ‘rules’ of sitcoms is to introduce all the main players right at the beginning, so adding a new character half-way through could be confusing. 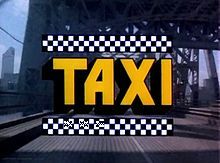 I read somewhere that the pilot for Taxi managed to do this in a very creative way, by having a broken phone from which people could call anywhere they wished for free, we got a glimpse into all the characters, whilst still adding a little drama when Alex calls his daughter, whom he hadn’t seen or heard from in 15 years. I recently watched the pilot to Friends and that was pretty excellent too, and if you haven’t watched it during one of the many re-plays, I recommend watching it right away. Now. Go! Right, so as you hopefully noticed, we get introduced to all the characters from the go and through very clear dialogue, get a sense of their identity, all this whilst also setting up the Ross and Rachel saga that will carry the series through 10 seasons. Based on that, how can Taro and I make our characters stronger and immediately tell our audience who these people are and what they are searching for? I took the opportunity to Storify the interesting conversation that followed between Bitter Script Reader and his followers on Twitter. Lots of food for thought, and hopefully the more pilots we watch, the more we’ll start to see a pattern emerge and if we’re lucky it will be so engraved in our memories that writing might as well just happen by Osmosis. Feel free to make me any Sitcom recommendations, it would also be great to watch some that maybe break the rules and are still great. It is now March, 3 months into a new year and I’ve been nowhere as productive as I’d like to have been. At the beginning of last year, hardly a day went by when I wasn’t writing and by the end of April I had completed 2x sitcoms, one feature, and had blogged 3-4 times a month. So far this year, I have done a lot of reading, even more thinking, but very little writing; blogging has also slowed down drastically. 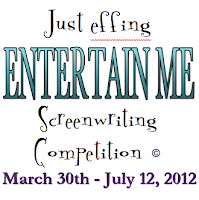 I've always worked better to deadlines and without any in sight, I have decided I need a challenge. To all of you out there who need the extra motivation, I propose the “A Page A Day Challenge”. It is very simple and is exactly what it says on the label: write a page a day. I realise one page a day doesn't sound very helpful, especially for those of you who aim to write 4 pages or more a day. How often though do we procrastinate the writing because we don't have the time, only to find that we've spent half an hour on Twitter or Facebook instead? However, if you do sit down thinking just one page, chances are by the end of the page you'll be in the zone and just carry on without even thinking about it. See what I've done there? It's like when you sign up to the gym and never go; the minute you've passed the barrier of actually getting there and changing into your sweats, you might as well work out for an hour rather than 10minutes and it's always really invigorating. 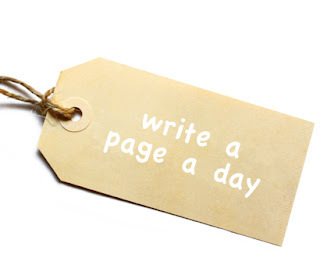 So, if like me you need a challenge, just follow the link A Page A Day Challenge and join in the fun - because writing is fun! Yes, sorry, back. I was busy imagining what I would do if I ruled the world. Probably start telling writers what they should be writing about rather than worry about the state of the economy, health and education. The reason I worry about how I present myself to others is the fact that I’ve recently had two rather interesting experiences: networking and pitching. Surely we should all be brilliant at both really. What are they if not selling yourself and an idea? And unless you want to appear to be someone you’re not, then just being yourself should suffice. 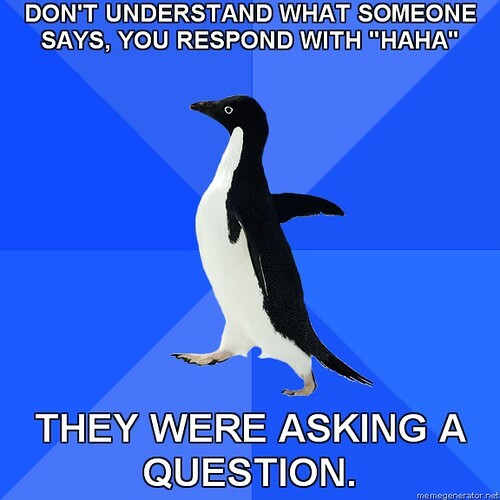 That’s the problem really; I’m socially awkward. Generally, I’m not a shy person and feel that I do a good job at approaching someone I’ve not met before and start up a conversation. But that’s where it all goes wrong, the content of the conversation. It’s possibly a fear of that awkward silence and in my attempt not to have those gaps where suddenly the other person remembers they need the toilet or another drink that I start to blurb. I ask stupid questions, make silly remarks or just go off on an unnecessary tangent boring myself, never mind the other person. I should have accepted the gap. The gap is a natural part of any conversation where it allows the other person to gather their thoughts too. Maybe if I allow for the gap to happen, they might get a chance to talk too thus continuing the conversation, but now, I’ve lost them, and I just want to dig a hole and hide. Thankfully, there are always those with whom the conversation flows, the gaps go unnoticed and the night is a success. So here’s a tip to myself, and others: networking is about finding people you can build relationships with, and unless it’s a natural process, it’s not going to happen. So note to self, take a deep breath and let it flow. When it comes to pitching, I take it like a job interview, and just like the interviews I’ve had, unless I know inside out what I am talking about and in fact am passionate about the job I’m up for, I won’t cut it. I’ve had some really good interviews in the past, some that felt more like conversations between friends, but the pitches I had a few months ago were nothing like that. They were in fact terrifying. It all came down to one thing though, I didn’t have any good answers, I clearly hadn’t done my homework and didn’t know my story or characters as well as I should have. I went in for the experience and came out enlightened. I knew what I had to do to make this programme 10x stronger, and I found out that if I’m going to play this game I need to learn how to pitch. Having an interesting story to tell with strong characters is definitely a good start, but knowing the audience, why it’s different, interesting, and most of all, why it needs to be made will get you a lot further. Knowing who you are pitching to though, will also make a huge difference. That could have been the worse pitch, but really, it’s when you (and by that I mean me) find yourself in front of a producer and decide you’re going to pitch them a script. You blurt it out and then realise you haven’t thought this through. Now remember how I said at the start that my mind has slowed down and my memory just fails? Well, having not prepared this at all, and in fact not even looked at the script for a few months, I blanked on the ending, the most important part of the script. The whole story built up to this one point and I could not remember a thing, one single detail! Of course, as I sat in the train home that night, I could have pitched it to any stranger. I knew it inside out, but pressure or time limitation makes me draw a blank, the kind of blank that I have when bumping into someone I know well unexpectedly and suddenly don’t remember their name – yes, that’s happened twice. If like me you’re getting senile a lot earlier than expected, then make sure that you pause. There is no need to rush through conversations and pitches. Take your time. If you know there’s a chance you’ll be pitching to someone, prepare. The blurted out pitch I did? There really was no reason why I should have pitched at all. I could have just had a friendly chat and then approached him again at a later time with a stronger pitch. You rarely get those chances twice so don’t waste them.